How Does Your Sprinkler System Know It Has Rained? Although it has been very hot this summer throughout the Florida Panhandle, many areas have been blessed with afternoon showers several day in a row. Historically, this has been the typical Northwest Florida weather pattern known as the ‘Dog Days’. Yet, many landscape sprinkler systems were still running. One has to ask, “Where are all the rain shut-off devices?”. Florida is one of just a few states with a rain sensor statute. Since May 1991, new installations of irrigation systems have been required to include a rain shut-off device. However, no wording was included to cover installation or maintenance. The 2010 statute change now states the following: “Any person who operates an automatic landscape system shall properly install, maintain and operate technology that inhibits or interrupts operation of the system during periods of sufficient moisture.” (Florida Statute 373.62). Thus, ALL automatic landscape irrigation systems require rain sensors, or other shut-off devices such as soil moisture sensor irrigation controllers. No “grandfather clause” was included for existing systems. Regardless of when it was installed, every sprinkler system must have an operational rain shut-off device. Irrigation contractors can be fined for working on a system without checking out and/or connecting a device. Moisture sensing technology conserves water, saves money, reduces wear on irrigation system components, reduces disease and helps protect water resources from runoff. Previous research has shown that homeowners using in-ground, automatic irrigation systems, typically in Florida, apply 47% more water for landscape irrigation than homeowners without automatic irrigation systems. This over-irrigation is largely due to a “set it and forget it” mentality despite seasonal fluctuations in plant water needs. If the water costs and the amount of water applied per watering cycle are known, it is easy to calculate how much money is being saved each time the sensor interrupts the program. For example, if a system irrigates ½ acre of turf and is set to deliver ½ inch of water to each zone, approximately 13,576 gallons of water will be used during each watering event. If the cost of the water is $2.00 per thousand gallons, every time the sprinkler system comes on the water bill will be $27.15. A significant amount of money and water can be saved by maintaining a rain shut-off device. Irrigation is common in Florida landscapes because of sporadic rainfall and the low water holding capacity of sandy soils. Water conservation is a growing issue due to increased demands from a growing population. 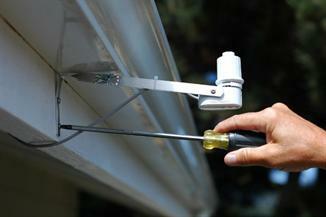 The least expensive and most common rain sensor device is the expansion disk rain shut-off. Expanding cork disks trigger a pressure switch. The expansion space can be easily adjusted by rotation of the disk cover to a predetermined amount of rain required to trigger the switch. The amount of rain that will interrupt the irrigation system is marked on the adjustment cap. A rain sensor must be mounted where it will be exposed to unobstructed rainfall, typically installed near the roofline on the side of a building. Irrigation control technology that improves water application efficiency is now available. Soil moisture sensors (SMS) can reduce the number of unnecessary irrigation events. Most soil moisture sensors are designed to estimate soil volumetric water content based on the soil’s ability to transmit electricity, which increases as the water content of the soil increases. Bypass type soil moisture irrigation controllers use water content information from the sensor to either allow or bypass scheduled irrigation cycles on the irrigation timer. Another type of control technique with SMS devices is “on-demand” where the controller initiates irrigation at a low threshold and terminates irrigation at a high threshold. A single sensor can be used to control the irrigation for many zones or multiple sensors can be used to irrigate individual zones. In the case of one sensor for several zones, the zone that is normally the driest, or most in need of irrigation, is selected for placement of the sensor in order to ensure adequate irrigation in all zones. Sensors should be buried in the root zone of the plants to be irrigated. 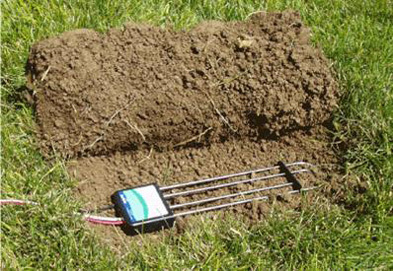 For turfgrass, the sensor should typically be buried at about three inches deep. The placement of SMS should be at least 5 feet from hard surfaces and sprinkler heads. The sensor needs to be calibrated and/or the soil water content threshold needs to be selected. The amount of water that can be saved using rain shut-off devices is substantial since water use increases substantially during summer months. Remember that every drop that hits the ground will be picking up pollutants as it flows to our groundwater. Nonpoint source pollution is the leading cause of water quality problems. These pollutants have harmful effects on drinking water supplies, recreation, fisheries and wildlife. 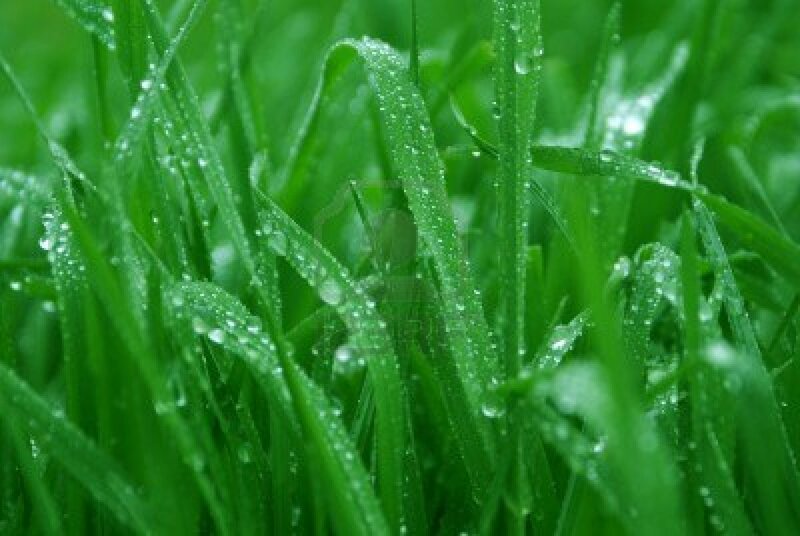 By only irrigating when the soil needs it, you are also preventing contamination of drinking water. This article is being reissued as part of our ‘Best Of” series, from August 2013 .